This is a long overdue monograph dedicated to Scottish painter Marj Bond, an intuitive and passionate artist, best known for her striking paintings of deities and Inca warriors and her use of handmade paper. It offers a review of her 50-year career with over 100 superb colour illustrations, many from private and public collections, and works never seen before. It traces her artistic journey, from Glasgow School of Art to the present day, through the exotic destinations that have fired up her imagination, India, Mexico, Morocco and Cuba and closer to home in Scotland. Published to accompany the exhibition John Piper: The Fabric of Modernism at Pallant House Gallery 12 March - 12 June 2016. 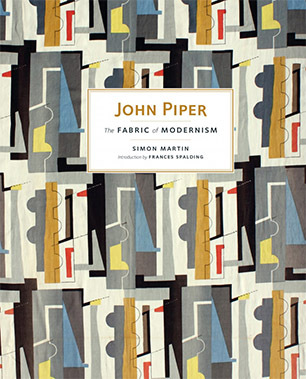 This is the first book to focus on Piper's textile designs, including his furnishing fabrics for the post-war home for companies including David Whitehead Limited and Arthur Sanderson & Sons Ltd, headscarves for Ascher and others, ecclesiastical garments, and tapestries created for cathedrals and other public spaces. It accompanies a major exhibition at Pallant House Gallery marking the 50th anniversary of the unveiling of the artist's first tapestry, the celebrated Chichester Cathedral Tapestry, bringing together the studies for this important example of religious art together with stunning examples of his tapestries and textiles. 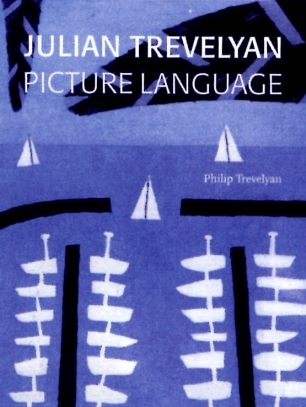 Published to coincide with an exhibition at Bohun Gallery, opening in April 2013, this is the first monograph on British painter and printmaker Julian Trevelyan (1910 – 1988). A personal account, written by the artist’s son Philip Trevelyan, ‘Picture Language’ draws on previously unpublished archival material. ‘Julian Trevelyan: Picture Language’ follows the trail of a painter’s visual language and motivation. 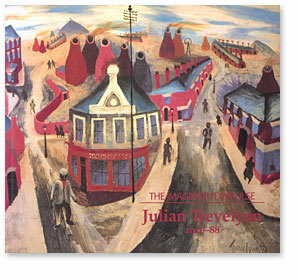 The working life of Julian Trevelyan (1910-1988) spanned more than 65 years. In that time he exhibited alongside Picasso, Miro and Dali, was a member of the British Surrealist group, an active participant of Mass Observation Movement, taught at both Chelsea School of Art and the Royal College of Art, and wrote a number of books. After the Second World War, his work was mainly concerned with depicting scenes around his Hammersmith home and the River Thames, where he lived with his wife Mary Fedden. Includes 270 colour and 120 B&W illustrations. 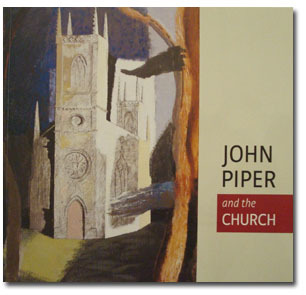 'John Piper and the Church' celebrates the contribution John Piper made to the development of modern art in British churches throughout the 20th century. It charts his life-long fascination with, and care for, church buildings - a relationship which began as a young boy when he produced his own sketches and guidebook to the churches in his home county of Surrey. This catalogue accompanied the exhibition held at Dorchester Abbey in 2012. 'John Piper and the Church' was curated by Patricia Jordan Evans, Director of Bohun Gallery, on behalf of the Friends of Dorchester Abbey as a celebration of HM The Queen's Diamond Jubilee. The catalogue includes contributions from Francis Spalding, David Stancliffe, Nicholas Usherwood, David Fraser Jenkins, Simon Martin, Stephen Laird, Nicholas Cranfield, Hugh Fowler-Wright. Julian Trevelyan (1910-1988) was one of the finest printmakers of his generation. He was an important innovator of modern print techniques, and one of the driving forces behind the etching revolution of the 1960s. This essential reference catalogues his entire output of over 393 etchings, and includes contributions from Norman Ackroyd, Frances Carey, Patricia Jordan Evans, Nicholas Usherwood, and Mary Fedden. An expanded and revised edition of Orde Levinson's definitive catalogue raisonne of the prints of John Piper. 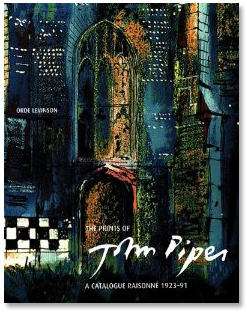 An essential reference book for the general public as well as for collectors, curators, print specialists and art historians, as an invaluable visual resource for all those with an interest in Piper's prolific and varied printmaking output. 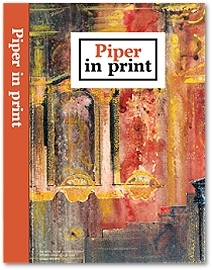 This new edition incorporates Piper's essay on working with printers; extracts from Piper's writings; Orde Levinson's essay on Experiment and Quality; a new essay by David Fraser Jenkins on Piper's extraordinary experimental prints of the mid-1960s; a new Introduction by Orde Levinson as well as updated lists, indexes and bibliography. In Piper in print, five 'Piper experts' explore the range and diversity of his work in formats that were usually considered 'lesser arts'. Their articles are illustrated with many rarely seen images. 156 pages, size 310 x 230mm, printed endpapers and covers, with about 250 illustrations, mostly in colour. 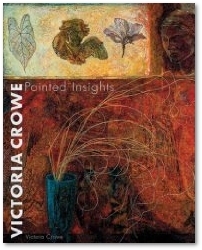 Over the last thirty years Victoria Crowe, one of Scotland's leading painters, has established herself as a painter whose work is instantly recognizable. This book covers her full range - landscape, still lifes, portraits, self-portraits and interiors - but much of her work defies such precise categorization. She has been described as one of the most vital and original figurative painters currently at work in Scotland. 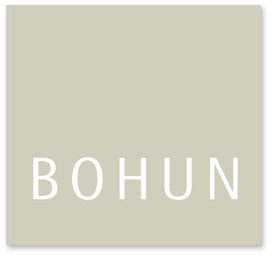 This catalogue accompanied the double exhibition which celebrated 30 years of fine art at Bohun Gallery. One work by each of the 54 exhibiting artists is illustrated. The artists themselves have contributed brief recollections and impressions of the gallery. A unique record of a gallery highly regarded by artists and art lovers alike. The Art of Prior's Court School reveals the unique story behind the £2 million collection of contemporary British art that Dame Stephanie Shirley put together to enhance the daily lives of everyone associated with this school for pupils with autism. The collection includes works by Elisabeth Frink, Peter Randall-Page, Rowena Dring and Thomas Heatherwick. The informative and lively text by Ann Elliott draws out the story of the collection and its function as an educational resource. Colour photographs by Stephen White show the works of art in context, while black and white photographs by Nick Danziger reflect aspects of a working day at the school. 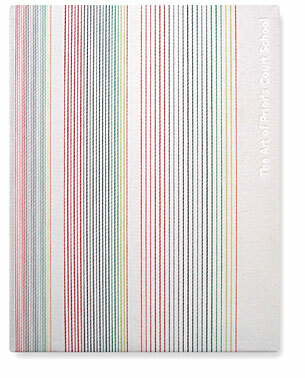 For every copy of The Art of Prior's Court School sold, £25 is donated to the Prior's Court Foundation. 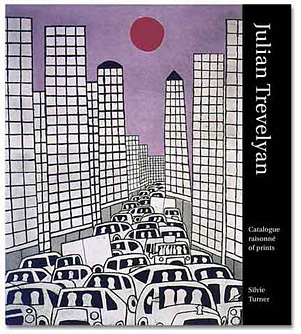 This illustrated catalogue accompanied a retrospective exhibition of Julian Trevelyan's work held at the Royal College of Art in 1998. It includes an introduction by Mel Gooding and an essay by Nicholas Usherwood. 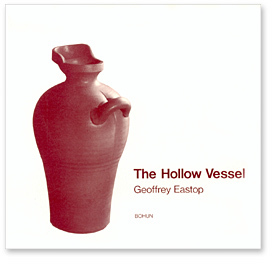 The distinguished ceramicist Geoffrey Eastop produced this brief but fascinating introduction to his methods and approach to ceramics over 22 years ago. The book is illustrated with contemporary examples of his ceramics and drawings from his sketch book, and has an introduction by Bill Ismay.